Previous research raises the question of self-esteem as a fundamental human need, but also indicates that self-esteem is an inherently social product. Is religious involvement influential—and does it depend on beliefs about God? 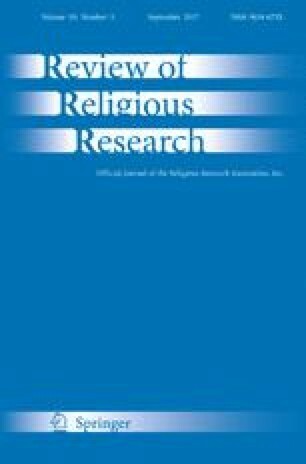 In this research, we examine the associations between multiple dimensions of religious involvement and self-esteem, and specifically focus on the belief in a supportive higher power (“divine support”) as a central influence in this relationship. Analyses of a national probability sample of adults from the US (2004 General Social Survey) reveal two central findings: (1) divine support helps to explain a positive association between religious involvement and self-esteem; (2) divine support strengthens that association. These findings contribute to the growing discussion about beliefs about God—especially as an engaged, involved, and influential force in everyday life—and the association with different components of the self-concept. Our observations underscore the need for more research on the intersection of beliefs and practices in shaping various facets of personal functioning.